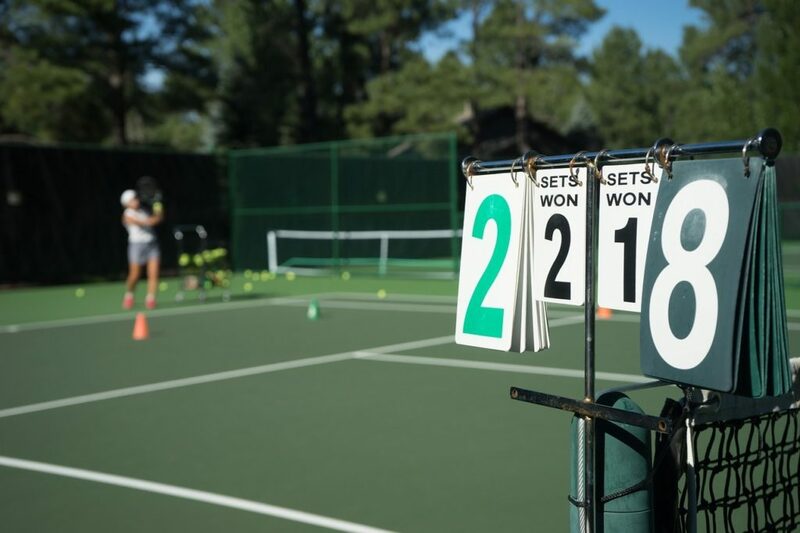 For beginners, keeping score in the sport of tennis can seem a bit confusing. In this tutorial, we’ll show you how to score in tennis and provide some tips to help you remember the process for future reference. 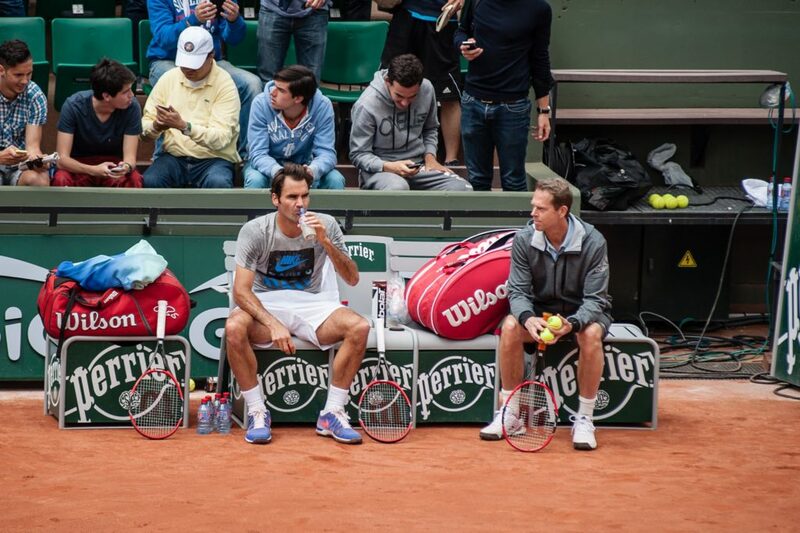 Roger Federer at the 2015 French Open with coach Stefan Edberg. Photo by Frédéric de Villamil licensed under CC BY-SA 2.0. Know the saying “game, set, match”? Tennis scoring has three “layers” – you can think of it like a sandwich if you like. We’ll start from the top (a match) and work our way down to the bottom (a game) to understand how scoring works. To win a tennis match, you’ll need to win a certain number of sets. For men’s matches, it’s typically a best of five – first to three sets wins. For women’s matches, it’s typically a best of three – first to two sets wins. To win a set, you’ll need to win six games. When the score is 6-5, the player must win seven games (making the score 7-5) to win the set. When the score is 6-6, a tiebreaker is played. If the score reaches 6-6 in a set, a special game called a tiebreaker is played to determine the winner of the set. A tiebreaker is just like another game (not a set), but it can go on for much longer. To win a tiebreaker, a player must win seven points. However, the tiebreaker continues if the score is 7-6. In this case, the player who scores two points in a row first (and has seven or more points) wins the tiebreak. To win a game, you must win four points. The first point would make the score 10-love (love means zero). The second point would make the score 30-love. The third point would make the score 40-love. The fourth point would win you the game. However, if the score is 40-40, you cannot win the game on the next point. You must win two points in a row to win the game. When the score is 40-40, this is called deuce. Once a player wins a point, this becomes their “advantage” in the deuce. If they win the next point, they win the game. However, if they lose the next point, it goes back to 40-40 (no advantage for either player). To decide who serves first, a coin is tossed. The winner can then choose to serve, to receive, or to play from a certain half of the court first. Depending on what they choose, the opponent gets the other choice. For example, if you choose whether to serve or not, the opponent can decide which end to play at first. The first server gets to keep the serve throughout the game. The opponent will then serve for the next game. 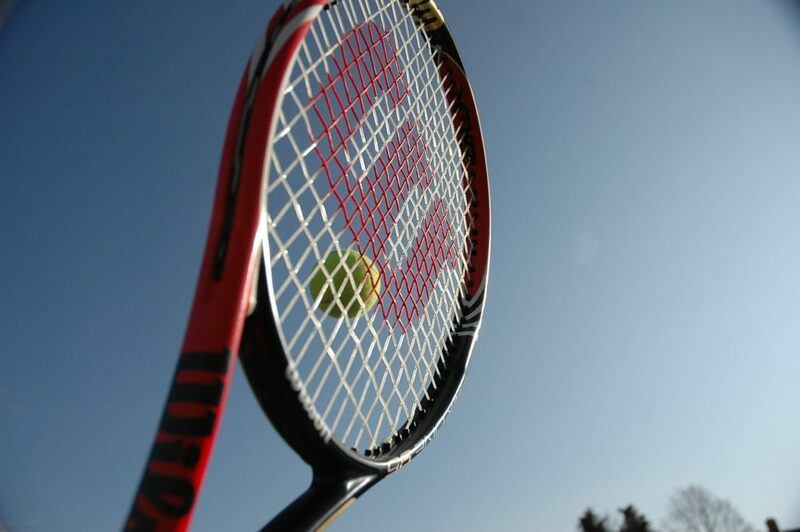 If you’ve never played tennis before, there’s a bit of jargon you’ll have to get used to. Love: when a player has no points in a game or set. Deuce: when the scores are locked at 40-40 in a game. When you refer to the score in a game, set or match, say your score, then your opponent’s score. For example: if you win the first point in a game, say 10-love. When a neutral observer is calling the match (the umpire, for example) the person serving has their score read out first. Hopefully that was helpful! 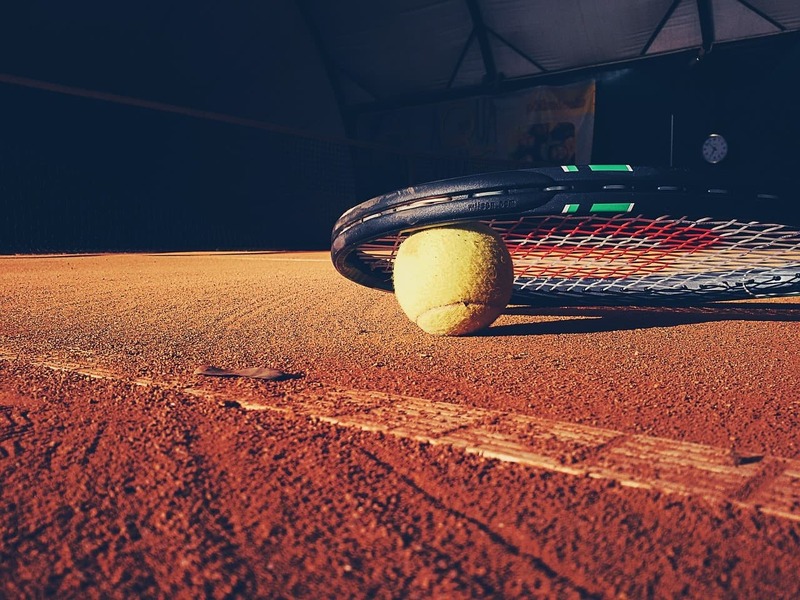 By now you should know how to score in tennis. If you’re still unsure of anything, leave a comment below and we’ll get right back to you!